Over the last couple of days many of the people that I have encountered both in person and online have been struggling to sleep at night. I know that many of you are feeling anxious, exhausted, and overwhelmed with our current political climate and the holidays fast approaching. I wanted to reach out with a special offering to help you and your loved ones feel some comfort and ease. Saturday November 12th through Sunday November 13th at midnight if you buy a 4 oz. jar of Sweet Dreams Foot Cream for a friend I will send you a 4 oz. jar of your very own. Exciting, right?! I thought so. I spent the summer talking to clients face to face at local farmer's markets and if there is one thing that I heard over and over and over again, it was how much people love to gift my magnesium foot cream to the people in their lives. Magnesium is a natural stress reliever and anxiety reducer. It helps you sleep better, lowers blood pressure, and reduces inflammation. In particular it is really useful for restless leg syndrome, plantar fasciitis, neuropathy, fibromyalgia, diabetes, arthritis, lyme disease, insomnia, night terrors, menstrual cramps, menopause, pregnancy, sports injuries, constipation, exercise recovery, and muscle tension. 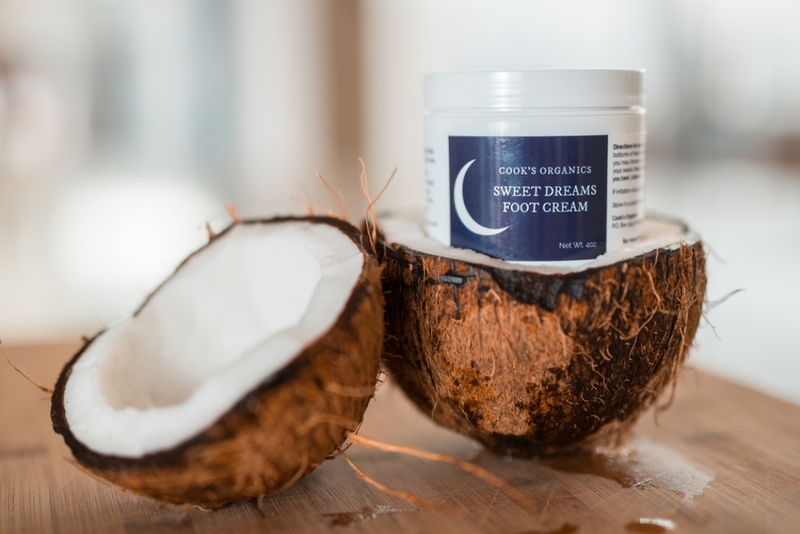 Do you know of someone who might need a jar of Sweet Dreams Foot Cream right now? I want to help you share health, ease, REST, and love with your community. And because I value your continued support in Cook's Organics, I want to give you a treat too! Add a foot cream to the cart and proceed to checkout as usual. Please only purchase one foot cream at a time. On Monday morning I will ship one jar of foot cream to you and one to them! Easy! P.s. Want to send more than one jar? You generous thing you. Please place a separate order for each gift. I will send your bonus jars to you in one order, just indicate your address in the additional information box.